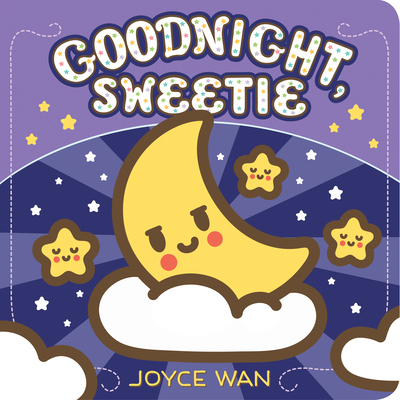 Joyce Wan helps little ones get ready for sleep in a sparkly ode to all things bedtime! This dreamy board book includes Wan's iconic bold lines, glitter, and embossing on the cover as well as eye-catching spreads featuring an irresistible cast of chubby, sleepy characters, such as a wishing star, a lovable snuggly, a bedtime book, and more. And at the end of the story you can't help but wish your own little sweetie "sweet dreams on moonbeams" as they gently fall asleep. It's a wonderful first bedtime story to share with little ones again and again!